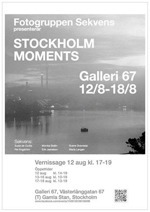 100 Stockholm moments photos have been made available for purchasing through the Svelan Image Bureau, Stockholm Gallery, svelan.com (in English). Photographer: Maria Langen. Welcome to make a virtual visit! 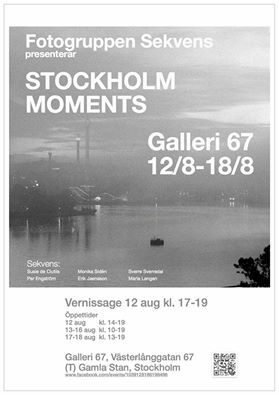 Some of the photos have also been exhibited in Galleri 67, in the Old Town of Stockholm, during a week in August, 2015. The exhibition was produced as a co-operation project between photographers in the team Sekvens. Infokorea: "Intressant fotoutsällning om Nord- och Syd"